The Paris Museum of Natural History: Great for Kids! 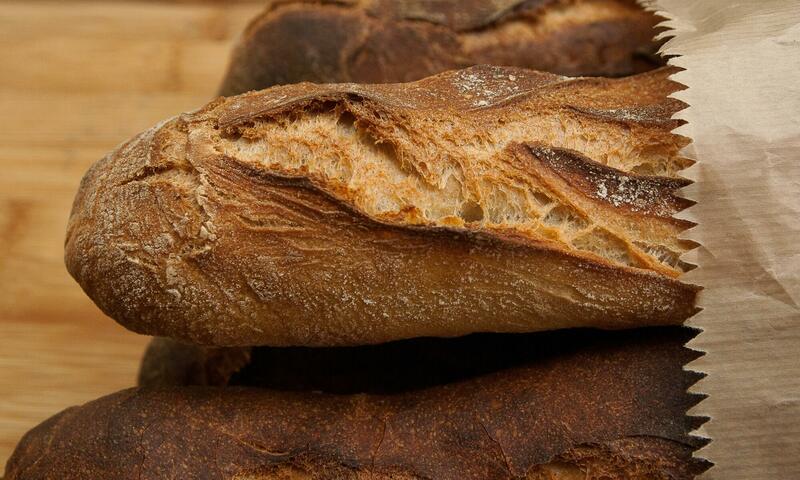 Philarmonie de Paris: See It Up-Close! This transcript only includes the conversation between Annie and Elyse and does not include the introduction and remarks following the main conversation. Forward the audio 2 minutes 40 seconds if you wish to go directly to our conversation. Annie: [00:00:01] Nice to see you again. Elyse: [00:00:04] Nice to see you. Annie: [00:00:05] OK, I’ve been seeing you for an hour, because we’ve been talking about this overview of Paris Museum for an hour already. It’s such a mess! There are so many museums in Paris! Elyse: [00:00:13] There are so so so many. Maybe, I am not sure. It may be that Paris is the city in the world with the most museum! Annie: [00:00:23] Right. 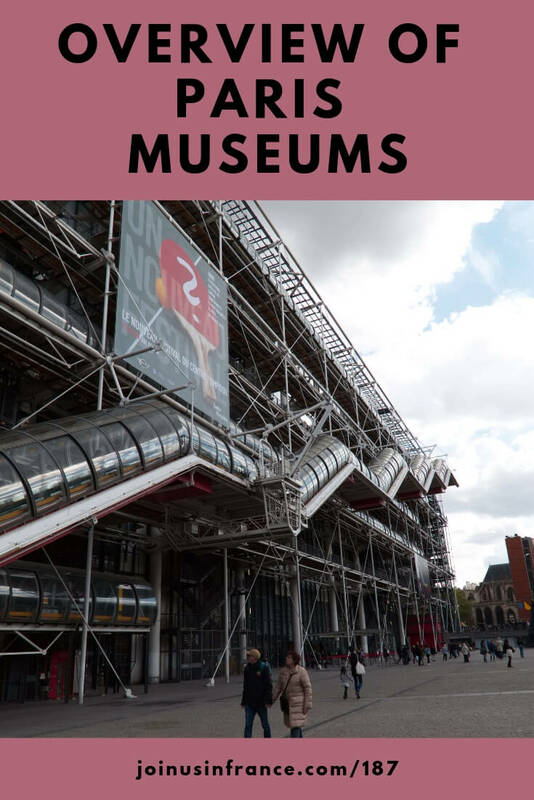 So, this episode we want to give you an overview of Paris museums. But, you know what? There’s so many will probably miss lots of them. Elyse: [00:00:30] And we’re going to have our mouths tired by the time we get done with this particular podcast. Annie: [00:00:35] And there are… OK, French people like to complicate things. So we have national museums, and then we have municipal museums, and then we have private museums. But that doesn’t mean anything to you as a visitor because it’s the same. I mean, you could think OK if it’s a national museum it’s a bigger museum than if it’s not. Annie: [00:00:55] But that’s not true. Elyse: [00:00:56] That’s not true. Annie: [00:00:57] In Paris there are national museums where nobody ever goes, and there is private museums where there’s lots of attendance. Annie: [00:01:26] Interests, right. Topic matter? Or do we do it by importance? So the important museums and the not important museums? Well that’s that doesn’t make any sense because, obviously, if you’re interested in, I don’t know, if you’re interested in tapestries. Annie: [00:01:42] There are tiny little museums in Paris that you would love! Elyse: [00:01:45] That you will love. Right. Annie: [00:01:46] So, it’s kind of hard to organize all of this. And the other thing I want to tell you is that we’ve talked about many of these museums already on specific episodes. And in that case, we’ll just tell you that was episode 21. And, you know, if you want to know more, go to that one. Elyse: [00:02:06] And I think you’re going to mention that we’re going to talk about things that are well long in terms of a list. Much much more than just what’s on the museum pass. Elyse: [00:02:20] The most famous ones usually are. Annie: [00:02:22] Yeah. So it will be up to you to decide. You know, we like the museum pass because it gives you a lot of freedom when you’re in Paris. But it’s it’s great if you are a person who’s likely to go into museums. Annie: [00:02:35] You know, if if if you’re not into museums, then probably you’re not listening to this episode anyway, right? Elyse: [00:02:41] But it literally there is really practically a museum for every … everybody. Elyse: [00:02:47] Every topic imaginable. Annie: [00:02:49] Right. So what we’re going to try and do is tell you what’s there. And briefly why you should go. Annie: [00:02:58] All right. Shall we start with the top of our list? Elyse: [00:03:07] She’s going to skip it! Annie: [00:03:08] That’s right, because we talked about it in episode 136: The Orangerie Museum in Paris, Episode 136 where you went to great detail about what’s there and all of that. But what I want to tell you is that it’s close to the Louvre, Jardin des Tuileries. Elyse: [00:03:19] It’s at the end of the Jardin des Tuileries. Elyse: [00:03:47] That’s right. That’s right. We want to do fine art and sculpture and everything sort of. Elyse: [00:03:52] And then we’ll blur our way out. Elyse: [00:03:56] And, of course the Orangerie is a national museum. Most of the National Museums, maybe some of the municipal ones too… Gee, I’m not even sure. But it’s every museum closed one day a week? That’s my question. Annie: [00:04:13] I believe so. OK. They talked about the Louvre not closing. Elyse: [00:04:17] Right because there are so many people coming. Annie: [00:04:19] But that’s either not happened. Elyse: [00:04:20] I think they have budget problems with getting enough people to be guards and right and then the station. Annie: [00:04:26] I heard an announcement but I know it’s not implemented yet. Annie: [00:04:30] Maybe it’s just supposed to be implemented later? Elyse: [00:04:32] I think I think this is a wish list. Yeah I think that’s what it is because in fact it’s the opposite. Usually the very big museums like the Louvre and Orsay because they have some budget problems. Every time they close certain rooms. So not everything is always completely open and then. So the idea that they’re open seven days a week I think it’s really part of their Santa Claus wish list at this point. Annie: [00:04:55] It might be. Elyse: [00:04:56] But just a suggestion that to whoever is in Paris and for whatever museum, the suggestion is check out to see which day is the day of closing. Annie: [00:05:06] Oh yes, you must do that! Elyse: [00:05:08] Because they do change. Annie: [00:05:12] Le Louvre, biggie, everybody knows about the Louvre. Annie: [00:05:15] Well, obviously. Right. We did an episode, it was episode 21. Strategies for Visiting the Louvre Museum, Episode 21 It’s a fantastic museum. Annie: [00:05:23] It’s one of those that it’s so big where you really need to have a plan. Annie: [00:05:27] So what are you going to see at the Louvre? Decide, you know, and then you’ll have a great time. If you just go and wander around you’ll get tired and cranky and unhappy. [00:05:38] Because it’s really big and it’s it’s is the museum in the sense that it has everything from the most ancient art like in Babylonia and Egypt up through 20th century. Annie: [00:05:51] Yeah, they have a lot of stuff. They have classes they have all sorts, they have workshops workshops they have all sorts of things. Elyse: [00:06:04] And lots of cafes. It’s actually become a user friendly place. Annie: [00:06:07] It’s a little bit better than it used to be. Annie: [00:06:10] The Orsay Museum we did that on Episode 15. 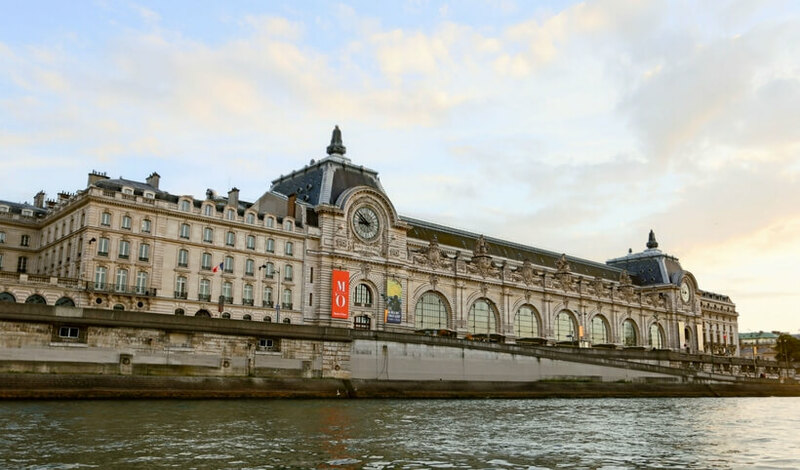 How to Prepare for Your Visit to the Orsay Museum, Episode 15 It’s the most popular museum for visitors from North America. Annie: [00:06:17] It’s fabulous, it’s not too big. And yeah it’s very approachable art. Elyse: [00:06:26] It is art that is largely Impressionist and Post-Impressionist. Annie: [00:06:31] It’s the museum that covers mid 19th century through early 20th century art, sculpture, furniture, paintings of course. Annie: [00:06:41] Then we have the Rodin Museum, which is one that I particularly enjoy because I like Rodin’s sculptures. I like the fact that Rodin was somebody who worked a lot. He just produced and produced and produced. He didn’t think of himself as a genius to begin with. He just got good at it and I people like that inspire me. Elyse: [00:07:02] Yes, you’re absolutely right. He considered himself to be a craftsman. Elyse: [00:07:07] And he did indeed work up until the very end of his life. And one of the things that’s lovely about the museum is that you have major big pieces outside in the gorgeous gorgeous gardens. Elyse: [00:07:20] And then you have smaller pieces and even some watercolors and drawings on the inside of the beautiful building that has recently been renovated. Elyse: [00:07:33] And it is a lovely spot. Annie: [00:07:34] It’s a lovely spot. Elyse: [00:07:36] The Cluny Museum, or the National Museum of medieval…Medieval art and culture. Elyse: [00:07:49] I got you to like it! Annie: [00:07:51] Yes, yes! If you listen to episode 8, which I did recently, that was one of the early ones. I had never been, and I wasn’t I was like I’m not sure I to go there. And I’ve been there several times since, and I love the place it’s gorgeous. Annie: [00:08:04] Unfortunately, as we release this episode, we are recording early March 2018, it is closed to part of the time. Until late spring 2018 they say I think they said on their website they hope to… Actually, no. I think that one they said middle of July that they hope to reopen completely. Elyse: [00:08:22] And the reason why is they’re changing the entrance way. They are… Because it’s a museum that was originally specifically about medieval art, furniture, everything actually from the Middle Ages. But since recent discoveries of Roman things have added another element to the museum, I think the old way of going in just didn’t work anymore. It was congested and everything. So, apparently what they’re doing is they’re reorienting the way you go into and through the museum. Annie: [00:08:55] Yeah. So they’re changing that, and their website isn’t super helpful. They have this graphic there that shows that the Cluny Museum is eclipsing itself. Elyse: [00:09:24] Because it’s right off Boulevard Saint Michel in the Latin quarter . Elyse: [00:09:41] It also has a scummy little garden park. That’s very sweet to sit in if you have to pause. Annie: [00:09:47] And that one you don’t have to have a ticket to the park. You don’t. It’s a medieval garden. Elyse: [00:09:52] It’s a medieval garden. Right. Annie: [00:09:53] But I’m not sure they’re not renovating it too, could be, they we don’t know. Annie: [00:09:58] Then the next one we’ll talk about… and of course the Cluny museum the big attraction there is the lady and the Unicorn unicorn tapestry. And also the big giant heads off of Notre Dame. They’re kind of interesting to see, but it’s but it’s the lady and the Unicorn is the big attraction there. Elyse: [00:10:15] My favorite museum. Annie: [00:10:20] Elyse’s favorite. Not my favorite but it’s a fine museum nothing wrong with it. Elyse: [00:10:32] And one of the things that is really interesting about it, aside from the neighborhood it’s in which is kind of fun neighborhood to walk through it’s one of the older neighborhoods has this huge Esplanade out front, is that it is a museum that’s very famous for its enormous enormous enormous collection of 20th century art. Now going into the 21st century. But also has a section on architecture, a section on photography, a section on design, and it has some activities for children and a great bookshop. And you can enter into the lobby and do the shopping without having to pay a ticket to see the exhibits right. So there’s kind of a little bit for everybody. Annie: [00:11:12] Yes, oh it’s lovely. 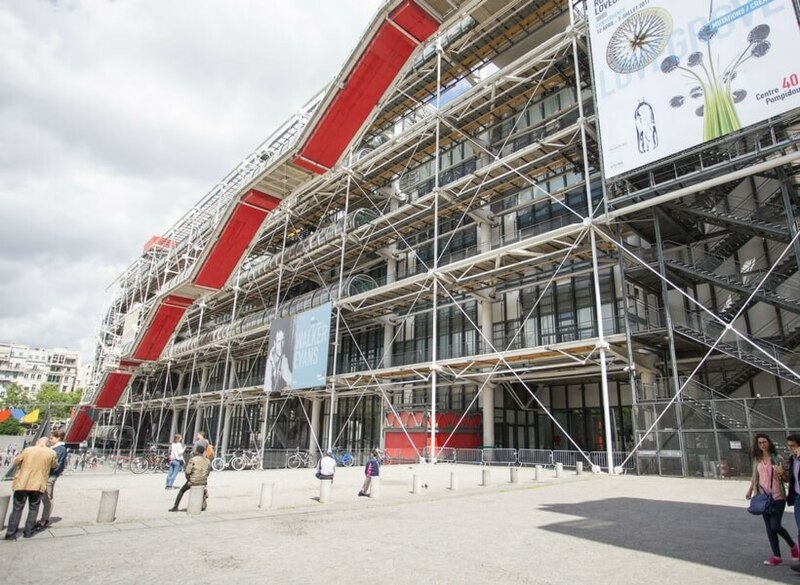 And you know it was really designed as a place… The idea, Pompidou wanted to bring people back into museums. Annie: [00:11:23] Pompidou was a French president. Elyse: [00:11:24] Who collected modern art. Annie: [00:11:26] Yes, he loved modern art, and he was surrounded by people who made faces when talking about modern art. Elyse: [00:11:35] Like some people I know! Annie: [00:11:36] It happens it happens. And so, he loved that stuff. And his whole life, even before he became the president, he had wanted to do something about bringing modern art more to the masses. Annie: [00:11:49] And when he commissioned, when they commissioned the building, they said they wanted something that would… In French we would “interpeller”, that would bring up questions, that would make people question what the heck is that? Elyse: [00:12:10] It’s an exoskeleton. Elyse: [00:12:17] Each tube, you know, each color represents a different function. Annie: [00:12:19] Right, different functions, so is going to be the the gas in the water yeah the water all that. Annie: [00:12:24] So really, when you look at it, it’s not like, it’s inviting to some people because it brings up, like, what is this? Elyse: [00:12:36] Yes, and it’s very colorful. Elyse: [00:12:39] Physically visually physically. And when you see the center of Paris even from far away you can spot it because of that. It’s kind of like a giant toy. Annie: [00:12:49] Exactly. Exactly. And he wanted it to to attract all people from all walks of life, even people who had no art education, or you know regular workers would go look it doesn’t go well, weird! Elyse: [00:13:07] And one of the things that’s interesting is that it has a huge huge national library that is open to the public. And the libraries is used enormously. I think that’s one of the reasons I like the place so much, it’s because it’s really not snobbish at all. Yeah no it really isn’t. Annie: [00:13:26] That was yes it was designed as the anti Louvre. Annie: [00:13:31] They didn’t want it to be like the Louvre at all. Annie: [00:13:34] And they meant it. I mean this what they did what they did. Annie: [00:13:37] OK, let’s move on to the Musée Maillol. Elyse: [00:13:37] The Musée Maillol is one of my favorite small museums. It was closed for about a year to renovate the inside. It was a private mansion. It’s in the seventh. It’s right. It’s not very far from rue de Varennes, which has a lot of chic shopping and things like that. It’s not too far from Saint Germain area. Elyse: [00:14:00] And it is, Maillol was a sculptor in the 19th century. But the museum has become a place of very very very good temporary exhibits. Elyse: [00:14:13] So it has a small private collection of Maillol sculptures, which are mostly in bronze. And in fact that’s one of the reasons they closed it, because they wanted to put back a section that was devoted to him. And it is a place that has excellent small exhibits of various kinds of things. Elyse: [00:14:32] Just as an example, just mention quickly too. There was an exhibit of Etruscan art that I saw maybe two, two and a half years ago. That was beautiful. It was. It was art that… Etruscans, we’re talking 2000 years old right. But it was small objects. There were things in bronze there were things in glass. There were sculptures. It was lovely. Elyse: [00:14:55] And then at another moment I went back to the same museum and they had an exhibit of artists who work in glass. Which included ancient things because they had a part that was historical so you see the first glass made by Egyptians and Romans and stuff like that, which was these are rare pieces. But also it had a lot of really fun strange pieces done by contemporary glass art. Elyse: [00:15:26] But a lot of it is with objects, and an interesting things that you would not see elsewhere. Annie: [00:15:32] Right. And so this is probably the type of museum that that really appeals to locals because since the exhibit changes and it’s not full of tourists all the time. I would bet that the art lovers in Paris love this place. Elyse: [00:15:45] Every once in a while they have an exhibit that gets some really good press. And so then all of a sudden you see there’s a bit of a line outside. I’d say that in size it’s maybe in the same category as Rodin. Elyse: [00:15:56] Maybe a little smaller, but it’s a great little treasure. Elyse: [00:16:01] Exactly. Exactly yeah. With a little cafe. Nice. Elyse: [00:16:09] We mentioned recently! Elyse: [00:16:14] And just to mention that it’s and it is interesting, considered to be private. I don’t know how that works since it’s part of the Senate. And all of that. But it’s a museum that has only temporary exhibits and so there’s no permanent collection there of any kind. Elyse: [00:16:30] And it has. But it has big names like there was once a few years ago when exhibit a painting by Modigliani who’s a very famous early 20th century artist has a lot of stuff that’s either Impressionist, Post-Impressionist, sometimes private collectors that give their work to them. So it’s a good place to check out to see what the current temporary exhibit is. Annie: [00:16:52] So again probably appeals to locals. Elyse: [00:16:54] And it appeals a lot to locals but it also does get a lot of tourists depending upon what the exhibit is and because it is in the right across the street from the chiquest part of of the sixth, of the Saint Germain area. Elyse: [00:17:09] And it is literally on the… In the park of Luxembourg Gardens. Annie: [00:17:13] So lots of people like to go there. Right next to the Senate. It would be a good place to duck into if the weather is foul. Elyse: [00:17:20] And check out the sometimes the museums sometimes the exhibits are really really good. Annie: [00:17:24] Very good. All right. The Centre Louis Vuitton of Contemporary Art. Elyse: [00:17:30] Yes. Now this is. I was there last year. It is out in the boonies. Elyse: [00:17:37] It’s in the Bois Boulogne. It’s in the 16th. It’s at the extreme western edge of the city. You can get there by Metro and then take a walk you can. There are some buses or if you have a car you can get there there’s lots of parking around. It’s an incredible an incredible example of contemporary architecture. Annie: [00:17:58] Yesh, just the museum it’s just the museum itself. Elyse: [00:18:00] It’s unbelievable. I was really impressed by it. Annie: [00:18:06] It’s that kind of kind of like kind of building. Annie: [00:18:14] By my sister’s bag habit! Elyse: [00:18:18] I can’t remember which was Arnault, which was Penault excuse me. The two the two billionaires that that owned things like that. And it is filled with really really interesting contemporary art. Elyse: [00:18:31] And that’s also temporary exhibits. There is a small part that is a permanent exhibit. But largely it is temporary exhibits. And this one is headliners. This is this is the biggies. You know this is when you get a major collection or a major artist that they are shown there. So it’s a little bit of a trek out of cities outside of city center. It’s a great day excursion because you get to do the park a little bit at the same time and the museum is just incredible to see. Annie: [00:19:03] Yeah probably great museum for people to go if they’ve been to Paris several times and this is something that they haven’t explored before. Elyse: [00:19:10] Right or if they’re really like if you are someone who’s really interested in 20th century art and you do Pompidou, do this one too. OK that’s a really great combo. Annie: [00:19:21] It’s a good combo. Very good. Annie: [00:19:24] All right the Delacroix Museum. Elyse: [00:19:26] OK this is my little baby Bijoux as they would say. This is a teeny teeny tiny little museum. It was the last house that Delacroix lived in. Annie: [00:19:37] Delacroix was a painter. Elyse: [00:19:38] Very very very famous and very important painter of the beautiful 19th 19th century Eugène Delacroix. And I’m not really sure why he lived in this house because it’s not very big, but at the at the end of his life he lived in this house which is right off of Boulevard Saint Germain on a charming little mini square. And it has a lovely garden and he used part of the house as a painting studio. And so it has a permanent exhibit of some of his smaller works. Annie: [00:20:12] Right, because he was famous for gigantic art. Elyse: [00:20:18] Some pieces that he collected also, like some other famous artist. He also collected a little bit of work by other artists. But it gives you a feel. One of the things I like about little museums like that, like other places where the artist lived and worked, is that it gives you a feel for the person. Elyse: [00:20:37] And you get an idea of you know they have a couple of the easels up and the big space that he used which has these gorgeous huge windows. And there’s this lovely little garden in the background so you can see how he would sit and think about things when he was working and if you have a ticket for the Louvre you can use that same ticket to go to this little museum. And it’s little. And it’s just in this beautiful part of Paris so it’s it’s… You can do it in even 45 minutes but it’s a good, it’s a twinned ticket with the Louvre. Annie: [00:21:09] Oh, OK. So you see small museums like that I tend to think are good for people who are visiting Paris with children. Because they’re small. Annie: [00:21:17] Like you know, you can walk through, and if the kids get bored, well. Elyse: [00:21:20] I guess so, you know I mean I don’t know if this really we all the children. But of course they can always go out into the little garden. It’s really, it’s just charming and it’s… And then I should mention that for those people who will be in Paris in the next four or five months there is a major retrospective of Delacroix’s painting that is opening at the Louvre. Elyse: [00:21:41] So it’s a chance if you do that, to go and see where and how he worked and at the same time. Because he’s a major major painter right. Annie: [00:21:50] So again, Le Louvre: have a plan. If your plan is to see Delacroix stuff, wonderful you can get that retrospective and that little museum. Elyse: [00:21:59] And it’s really just a charming little place. Tiny little thing. Annie: [00:22:05] La Fondation Cartier. Annie: [00:22:18] They have museums in a lot of places. Elyse: [00:22:21] I don’t know how many places they have. Annie: [00:22:23] They have one in Sitges, in Spain. I think! Elyse: [00:22:24] If it’s in the… It’s in the area that’s near, not too far from Montparnasse on the Boulevard Raspail I believe, and it is devoted to American Contemporary Art. Elyse: [00:22:39] So I’ve been there twice, and both times it was to see work by an artist whose work I may have seen a teeny little bit, but didn’t get a chance to see too much of because there are very few spaces here, that is in France, devoted specifically to American art. Elyse: [00:22:59] Photography, painting. It doesn’t matter it’s not a particular medium but it’s specifically American art. And it’s contemporary art. And it’s a kind of interesting place to go. Annie: [00:23:09] André Jacquemart Museum. Elyse: [00:23:09] Ah, like the Maillol. These are my two… This one is probably more… Getting to be more well-known. Again, like the Maillol museum, only that this one, of course, is in the 8th arrondissement. It’s not that far from the end of the Champs Elysées, after the Arc de Triomphe. Depends on if you’re a good walker or not, otherwise you’ve got to take a Metro and hoof it a tiny little bit. Elyse: [00:23:35] It’s it’s a private museum that was a magnificent mansion that was built in the 19th century. Absolutely stunning, with this double staircase and all the furniture is in it, and it has this incredible garden in the back. So as a place to just visit to see how the rich lived in the 19th century, it’s already one thing. Elyse: [00:23:59] And it has gorgeous small temporary exhibits mostly painting. I’ve seen several exhibits there. This is one though where there is a line. The exhibits are so important. For the last one I went to see there was an exhibit of work by Van Dyke. And of course there’s a lot of portraits he did many many portraits and things like that. So how they managed to get these works and do these special prestigious little exhibits? I have no idea because it is a private museum. Elyse: [00:24:33] But it’s gorgeous and it’s, it’s drop dead gorgeous as a place to visit. And also it’s a place that has really interesting temporary exhibits. But to know that, depending on who the person is, if it’s a headliner then you’ll find yourself standing online outside to get in. Annie: [00:24:51] Right. So that was André Jacquemart. Annie: [00:24:55] Moving on to the Guimet Museum of Asian Art. Elyse: [00:24:57] Yes. It’s supposed to be one of the most important Asian art museums in the world. Annie: [00:25:05] It’s pretty big, I haven’t been inside, but from the outside it looks pretty big. Elyse: [00:25:06] I’ve been inside twice. And I have to make a terrible confession, and that is there are certain aspects of Asian art that I really like. And then there are other things that are not my cup of tea. Annie: [00:25:22] Well, fair enough! Annie: [00:25:42] Chirac was a French president. Elyse: [00:25:43] Chirac whose passion passion is Asian art. It has a little of everything. So it has a Japanese, Chinese, Indian. A lot of Buddhist art, a lot of sculpture, a lot of very beautiful works on screens and two dimensional. It is an extremely important collection of Asian art, mostly permanent. I think there are some changes on the temporary level. So for anyone who is curious or interested in Asian art, it’s a great place to go. Annie: [00:26:11] Yeah I saw it from the outside… it’s really close to the Trocadero. Elyse: [00:26:15] Is very close to the Trocadero, it’s in the 16th it’s that area that has several very nice big prestigious museums. Annie: [00:26:20] And there’s often I mean I’ve seen lines so it’s it’s a popular place. Elyse: [00:26:25] I believe it’s actually considered to be a national museum right now. Annie: [00:26:29] Yes it probably is. Elyse: [00:26:32] Yeah the Marmaton which is now officially the Marmaton and Monet. Yes yeah which was originally just the Marmoton. Elyse: [00:26:42] C’est Marmoton or Marmottan? OH. Oh ok. Yeah. I think, I may be wrong. Annie: [00:26:48] You think it’s an AN. Annie: [00:26:49] I think it’s AN, but I can be wrong. Annie: [00:27:03] It’s AN. MARMOTTAN. Annie: [00:27:06] It’s all right! Elyse: [00:27:06] It’s at the edge of the Bois de Boulogne, the very eastern edge. At the extreme western part of the 16th arrondissement. OK the Metro stop is Passy. Annie: [00:27:20] Chic chic neighborhood. Elyse: [00:27:22] Very very chic, very chic and very staid. And then you either have to hoof it, which is good in nice weather. Or you wait for a bus. I’ve done both, and it is fabulous if you like Monet. Elyse: [00:27:37] It has a private but permanent collection of some of his most important pieces, strangely enough, not the biggest, but some of the most important. Including the painting that gave impressionism its name. Annie: [00:27:51] Right! It’s called Impressions. Elyse: [00:27:56] Impressions, impressions, yes. Lever de soleil impressions. Elyse: [00:27:59] Most of the work there was donated by Monet’s son. And it was a private house. Again it’s one of these beautiful 19th century mansions that has some lovely furniture, and it also has a very small collection of work by an artist whom I absolutely adore and that is the woman impressionist painter Berthe Morisot. So it’s a lovely lovely lovely museum. And for anyone who is a big fan of Monet’s it is a must see it’s a must see. Annie: [00:28:27] I haven’t been. Oh my goodness. Elyse: [00:28:28] It’s a must see. Annie: [00:28:29] Terrible person. I need to go to Paris more! Annie: [00:28:33] Le Petit Palais. 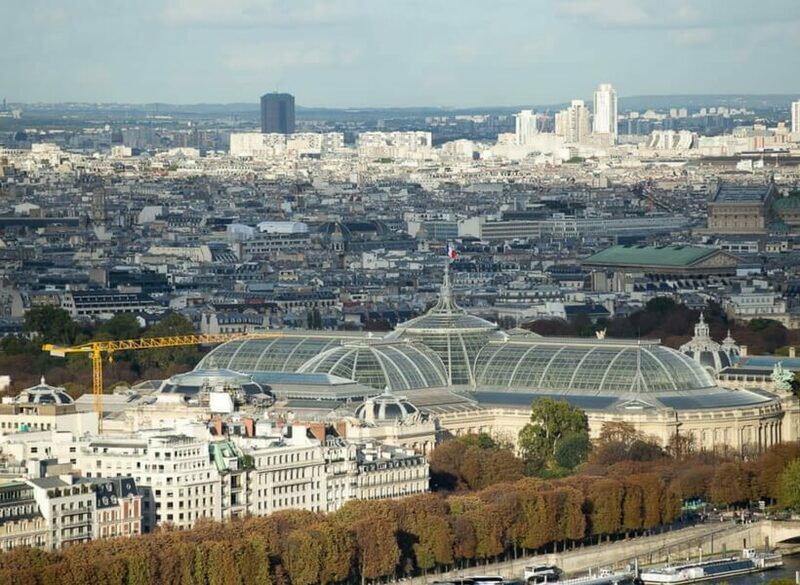 Elyse: [00:28:33] Well, le Petit Palais is across the street from the Grand Palais. Annie: [00:28:39] Yes it is. So, it’s the neighborhood of Champs Elysées. Elyse: [00:28:43] It’s actually, yeah. Annie: [00:28:46] It’s along the Seine river. Elyse: [00:28:46] It’s between the… If you start at the Place de la Concorde, and you walk up, it’s about a half a mile up. It’s right there it’s right there on the left. So it’s really literally between the Champs Elysées and the river. And both buildings, this the little palace and the big palace are these incredible ornate stone buildings that were built for the universal fair of… Ouf, I think I’m getting this right. I hope so, of of 1900. I hope this wasn’t the 1889 one. I’m not sure, if now if this was the 1889 one of the 1900 World’s Fair . Elyse: [00:29:31] But both of these buildings which are unbelievable to look at, they look like palaces which is of course why they called that. Annie: [00:29:38] But they are very different visually. Well, the Petit Palais, it is because it is much smaller. It’s more stone and less of a big glass dome and everything. But think about it, it really does look like a palace. When you think it that was done thinking it was going to be temporary. Kind of crazy! With all that work for something that’s going to be torn down? Annie: [00:30:00] Well, so was Eiffel Tower! Annie: [00:30:02] So was the Eiffel Tower. Elyse: [00:30:08] You look down. Annie: [00:30:18] Glass and yeah it’s beautiful! Elyse: [00:30:19] It’s beautiful. And so the Petit Palais is just across the street and it has… It’s also very gorgeous. It has a beautiful little garden in the back. It has part of it is a permanent collection of art with large of drawings and prints and smaller pieces, and then it also has just like the Grand Palais, temporary exhibits. But, unlike the Grand Palais, it also has a part that’s a permanent collection. Annie: [00:30:45] Right. So it’s the Musée d’Art de la Ville de Paris or something is what they call it. It’s art. Fine art that the city of Paris. Elyse: [00:30:54] Exactly. It’s smaller it’s charming and it has some very nice exhibits. They tend to be exhibits of works that are on the smaller side. Physically you know lots of engravings, drawings. Annie: [00:31:05] So, it probably doesn’t take very long to visit that one. Elyse: [00:31:07] No, an hour and hours good time being there. Annie: [00:31:11] Le Musée National Picasso Paris. Elyse: [00:31:13] Ah the Picasso Museum. Well, the Picasso Museum, which was a long time in coming. It took a long long time. What they did was they took this absolutely magnificent 17th century mansion which is huge, because that part of Paris, which is the Marais, was and still is filled with these incredibly enormous 17th century mansions of the rich rich royalty were there. And they of course turned it into a museum dedicated strictly to Picasso. Elyse: [00:31:43] Because this is part of the heritage that was left to the government as payment. Annie: [00:31:48] He owed a lot. Elyse: [00:31:49] He owed a lot of taxes, and because they took it in goods rather than money. Annie: [00:31:54] Wich you know, smart. Elyse: [00:31:54] So, but they have such a huge collection that they actually rotate what they have on exhibit. It’s an enormous museum if you want to really appreciate Picasso. And see the evolution of his work. It is a must. Annie: [00:32:12] This is also where you will see that he was messed up in the head. Elyse: [00:32:15] Yeah. Annie has her things about Picasso and his relationship to women. It’s a fabulous museum. It’s also for… So big that it’s it’s you do that and then you go to a nice cafe and have a nice hot chocolate or a huge cappuccino. Not a whisky, but you know something like that, but it’s a gorgeous part of the city. And if you have any interest in Picasso you really have to go there. Annie: [00:32:44] Yeah no. It’s a very nice museum. Elyse: [00:32:46] It’s a very nice museum. Elyse: [00:32:47] Let’s move on to la Bibliothèque Mitterrand. Annie: [00:32:54] Are we on the same page? Elyse: [00:32:55] I had added a couple more down there. Annie: [00:32:57] Ah, go ahead, go ahead. Elyse: [00:32:58] OK. The Palais de Tokyo, palace of Tokyo. Palais de Tokyo is another one of the group of museums that is in the 16th that is close to the Trocadero. Elyse: [00:33:09] And it is right next to the museum called the Museum of Modern Art of the city of Paris. It’s such a long stupid name. I know both of those are made… They were built… They’re housed in buildings that were built at the same time as the Trocadero. So its end of the 1920s and 1930. Elyse: [00:33:30] That style of architecture. All of these buildings have esplanades with a view over the river and the view of the Eiffel Tower. It’s a section that’s just filled with this kind of stuff. And here is the Palais de Tokyo, which only came to be called that I think about 10 years ago, and don’t ask me why because I don’t really remember why. It is devoted strictly to extremely contemporary art by young artists. Elyse: [00:33:59] So it’s… It’s the cutting edge and I am I’m choosing my words specifically because if you go to the Pompidou or Vuitton you will see art that goes from the beginning of the 20th century all the way up to current times just a little bit of something for everybody. This one, if you are not aware of or are interested in really cutting edge contemporary stuff this is not a place to go. Elyse: [00:34:25] It’s weird. I mean everything in it is because, I’m saying this right? I mean some of it is interesting. Annie: [00:34:32] Note that she is saying this, I’m not. Elyse: [00:34:33] I’m saying this, OK. Some of it is really interesting, and some of it is just like oh if you to know what’s going on in the minds of young artists today, this is the place to go. And my ex students from art school. And that’s where they go. I mean it’s kind of a place you know it’s like. It’s right across the way from the Museum of Modern Art of the city of Paris, which is one of my favorite museums. Elyse: [00:34:58] And it’s kind of a rounded glass right building right? Annie: [00:35:02] I’ve walked past it. Elyse: [00:35:03] And the museum walked past the other museum which is just across the way from it, is a fabulous museum that has the overflow of what is at the Orsay, in a building that’s really huge that has a spectacular view, it has a great cafe with great food, and it has fabulous outside part that has a view over the Seine and the Eiffel Tower and it has very good has a small permanent collection. Annie: [00:35:31] Which one are you talking about now? Elyse: [00:35:32] The Museum of Modern Art of the city of Paris, just across the way. And it also has very very good temporary exhibits. Elyse: [00:35:40] Last year was an exhibit of work by Warhol, who of course is very considered to be a late 20th century artist American. But again this is devoted to more recent work. Elyse: [00:35:56] But the two together are very interesting. Elyse: [00:36:05] Well, that might be the case in the Palais de Tokyo. But I think in the other one you there’s some really interesting stuff. I mean they have some… And they’ve what they’ve done is they they’ve renovated the basement level like they did with the Orangerie. So you have… Because they have so much art in Paris that they don’t know where to put a lot of this work. So they’ve added all of this exhibit space down below us which is really what makes interesting. Elyse: [00:36:34] Mitterrand, in the 12th which is over on the east side. Annie: [00:36:38] I have never been to that one. But, is it really a library? I mean, a blbliothèque? Elyse: [00:36:39] Yeah, it’s huge. Very criticized in terms of architecture enormous national library that has an exhibit space. Annie: [00:36:52] Oh I know what you mean! The big tower! Elyse: [00:36:54] Yeah, well it’s supposed to be book-ends. Annie: [00:36:57] Oh, no, I know what that is! Elyse: [00:36:57] It’s supposed to be book-ends. That’s what the whole concept was. Annie: [00:37:11] But that’s kinda outside of Central Paris. Annie: [00:37:29] Maybe for people who’ve been to Paris a bazillion times. Elyse: [00:37:32] Maybe. But it is for people who are interested in books. The exhibits tend to be around printing, or drawing, or the history of book or writing. So,I once saw a very lovely exhibit there. Obviously, if you if your first time Paris is not necessarily a place you go. But very lovely exhibit of the history of certain kinds of writing. So it has that kind of stuff in the exhibit space, so it’s kind of an interesting place to be. And it’s the kind of place that your second and third trip you can go back home and say look where I went. Annie: [00:38:12] The Jewish Museum. Elyse: [00:38:13] The Jewish Museum and the Jewish Museum it’s the Museum of the history of art and culture of Judaism is the official long title. It’s not very far from the Pompidou Center, you can actually do both very easily in the same day. But if you do those two you’ve done your day. I mean, it’s an exhausting thing. It’s a very beautiful museum it’s kind of medium sized. It has a permanent collection that has to do with the history of Judaism and Jewish people in both France and in Europe. Elyse: [00:38:44] And then it has temporary exhibits by specific artists very much like the Jewish Museum in New York City. And it has different kinds of exhibits. I was there once and saw an exhibit that had to do with the history of religious architecture. But then I’ve been there a couple of other times and seen the work of specific contemporary artists whose work is very very beautiful to see. So it has of great variety of different kinds of art to see and it is very very good to get an idea of the history of the Jewish people in Europe before and after World War II. Elyse: [00:39:21] But it is not a Shoah museum. Annie: [00:39:25] It’s not a Shoah Museum. There are two of those in Paris. Elyse: [00:39:26] It’s not a Shoah Museum. Elyse: [00:39:27] It’s not about that. It’s not about that tragedy. It’s about the history of the people. Books. It has and excellent excellent excellent book store as well. Annie: [00:39:38] Good. Next one is the Institut du Monde Arabe, we’re staying in the same neighborhood. Annie: [00:39:47] Oh, I mean neighborhood historically! Elyse: [00:39:48] Right. Right exactly. Except that we’re back to the area around the Mitterrand Library. This is a place that I absolutely love. The building is really interesting. I’m embarrassed to say I don’t remember the name of the architect ,but it’s a very very interesting building itself. Elyse: [00:40:06] It has fabulous exhibits absolutely fabulous exhibits by contemporary artists that come out of the Arab world and by…. And it also has exhibits of ancient things. It has an incredible incredible bookstore. Absolutely incredible. One of the best I’ve ever seen in a museum, and it has a part part of it a permanent collection and it has a terrace where you can have tea and look out over the Seine. Annie: [00:40:37] Yes apparently the terrace is gorgeous. Elyse: [00:40:39] The terrace is gorgeous. I happen to like this exhibit. This museum. I’ve seen several different kinds of exhibits there, also which kind of makes sense, but it does actually make me laugh, because I had this as an experience personally. On Christmas Day it is open. Annie: [00:40:57] Oh that’s good! Elyse: [00:40:57] And there aren’t too many museums in Paris that are open on Christmas Day! I once saw and I like textiles a lot. I once saw an exhibit of the history of rugs that are from all the different countries. Annie: [00:41:10] Persian rugs maybe? Elyse: [00:41:11] Well you have Persian and Afghani and Tunisian. I mean it was it was like going into 1001 nights. It was fabulous. I’ve also seen exhibits of contemporary artists with painting and things like that. And it’s a really neat place to go. Annie: [00:41:29] It sounds cool! Elyse: [00:41:30] It was sponsored by Mitterrand actually. Elyse: [00:41:33] Not I think it was Mitterrand actually. Annie: [00:41:38] Very nice. This is one that I’ve meant to go to many times and I just haven’t. Annie: [00:41:43] Museum of Natural History, we’re going back to the classics now! Elyse: [00:41:45] Well we’re going back to… we’re going back but we’re staying in the same neighborhood where we’re not too far away. We’re going to one of the oldest museums in the history of France. Elyse: [00:41:55] Yeah created by Louis XIV himself. Who had exotic animals brought to France. I think one of the first ones was a giraffe and things like that. And so, it before it became a public museum it was a collection of living and dead things that have to do with natural history. And at the time of the revolution became the Museum of Natural History. Using largely were things that had been collected by various members of royalty and nobility and stuff like that. It is one of the most important museums of Natural History in the world. I think it’s not quite as big as the one in New York but it is very very important and it is a museum that has a lot that’s fun for children to see. Annie: [00:42:47] Yeah, I think this is one right where I would take a kid. Now, when I see a kid you know kid is a broad thing right because there’s a huge difference between I’m going with my two months old and I’m going with my 12 year old right. Completely different cup of tea here. So you know your kids, but I think a natural history museum is pretty good from 6 on. I would think so yeah. And they do maybe younger depending on the kid. Annie: [00:43:41] These are fun to visit! Elyse: [00:43:42] They are fun. The …Botanical Gardens is really beautiful. And you don’t have to pay to go into the museum to go to the gardens part. Yeah. You can just sit there, it’s a big park. Annie: [00:43:54] And this is probably all part of the museum pass anyway. Elyse: [00:43:56] I would think they are. Yes. And it’s really a fun fun fun place to go. Annie: [00:44:01] Le Musée de l’armée where Napoleon’s tomb is. Annie: [00:44:42] Because Invalides = Invalid. Elyse: [00:44:43] Right. The when when. Very important famous people die. The ceremonies for them was done in the courtyard and in the courtyard which is huge and it’s an enormous. Annie: [00:44:52] It’s a very stately place. Elyse: [00:44:54] Very stately very big set. Elyse: [00:44:55] And then Napoleon, who we cannot say was a modest person. When he prepared for his, what would be the right word. He prepared for his eternity by taking the chapel which is a baroque chapel from the 17th century and cutting into the back wall of it, so that he could add on this other building which is where his tomb is. Annie: [00:45:25] Right, by itself. Elyse: [00:45:55] And guns and cannon cannons everywhere and I have to say that the bookstore part is actually pretty interesting because it covers everything up to into current wars. And you know 20… Like World War II. But it’s not my thing. Right. History of guns and armor. I mean the chapel is really cool it’s a really incredible baroque chapel. And and seeing the megalomaniac tomb of Napoleon is kind of cool too, because the marble that used to be gorgeous is enormous. But you know, I could I could live without seeing the evolution of pistols. Annie: [00:46:34] You know I did an episode it was episode 153 that’s titled Secrets to Finding an Apartment in Paris, Episode 153 Yes. And it kind of goes into not so much what the building is like but why did he end up there. It’s an interesting story. Elyse: [00:46:48] First he wasn’t there. Of course right. Right. Interesting. Well he’s somewhere happy that he is there now. Annie: [00:46:53] I guess I guess, not that I worry about that too much. But, see, again this is this is one of these… It would be a minor museum by Elyse’s standards, but it would be a really important museum by somebody who loves army. Annie: [00:47:08] That type of thing and there are plenty of people like that. Elyse: [00:47:09] Absolutely. And quite honestly if if you have the museum pass and you’re interested in seeing what beautiful classical architecture of the 17th century looks like, it’s worth going to them just for that. It’s gorgeous. Annie: [00:47:21] It’s pretty when it’s lit up at night. Elyse: [00:47:22] It’s beautiful. Yeah. Elyse: [00:47:25] The golden dome. Yeah. Annie: [00:47:26] Yes, that’s the golden dome in Paris. 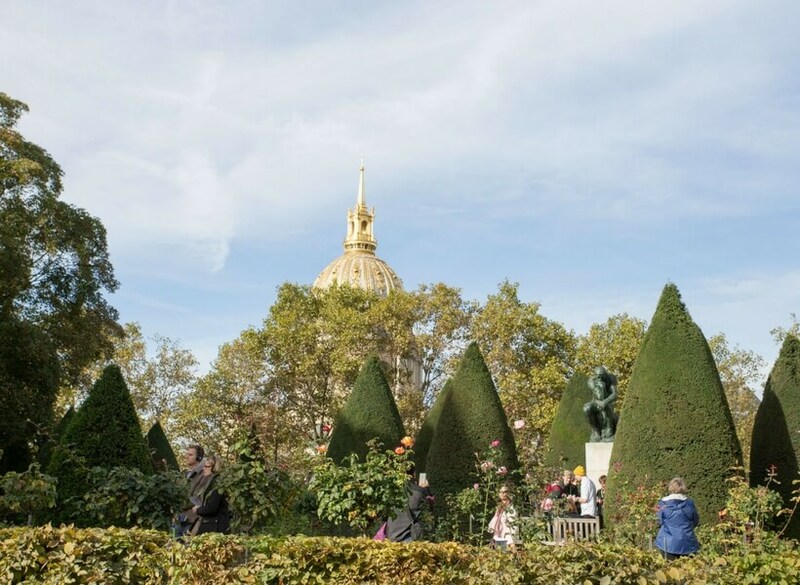 You see it… Like from when you’re at the Rodin museum, you see this golden dome. That’s it. C’est les Invalides. The dome of the Invalides seen from the Rodin Museum. See the thinker on the right of the frame? Annie: [00:47:35] All right. Next one is the Musée des Arts Décoratifs et Espace Mode et Textiles. Cause you told me they were together. Elyse: [00:47:45] There were connected. They’re run by the same group or museum of decorative art. I love absolute love. Annie: [00:47:51] That’s the one at Le Louvre, right? Elyse: [00:48:05] Oh it’s over. Yeah it was it was probably the only time in my life that. I couldn’t stand the crowds in a museum. Elyse: [00:48:14] Yeah it really got to me. Elyse: [00:48:15] I have to admit. It was one of the most successful exhibits that have ever been shown anywhere. And nobody expected it to be quite that in demand. And so what happened was that even though you had to book ahead for time to go in, the way they set up that… There’s a science of creating exhibits. It was awful. It was awful. It was awful. The things that you could see were fascinating if you’re particularly interested in fashion and it was interesting, but unfortunately it was enough to make anybody who is even mildly claustrophobic have a total panic attack. Elyse: [00:48:51] But the museum itself is in this absolutely magnificent building that is structurally from the outside part of the Louvre. I’m not sure how that works in terms of it being separated off, but it has a fabulous fabulous collection permanent collection of the design things so furniture jewelry everything connected to textiles. All of those kinds of things. And one wing of the building is devoted to temporary exhibits. And what they did with the Dior show is that they took over the entire museum practically. It’s a museum that has four floors. It’s a huge it’s a big museum for anybody who’s interested in anything connected to design design or interior design. All of those things it’s fabulous. And it’s it’s it’s part of the whole system of national museum. Annie: [00:49:48] Yeah and this is probably a good place for people who are you know even if you’re doing web design or things like that it’s good to see where the fundamentals of design came from. Elyse: [00:49:59] Absolutely. Yeah. Because that’s and they always have usually fun and interesting temporary exhibits. Annie: [00:50:07] All right. Shall we talk about Nissim de Camondo? Elyse: [00:50:10] Yeah. Another one of these tiny little museums that is really interesting. I discovered it’s existence because of a book we read. And now I remember. Now can we read it for our book club. Annie: [00:50:32] I don’t remember it either. Annie: [00:50:39] Doesn’t ring a bell. Annie: [00:50:43] I can add to it to the show notes. Elyse: [00:50:46] The museum is the home… It is a building in a very chic. It is right next to Parc Monceau. Elyse: [00:50:55] And in a lovely lovely lovely lovely chic part of Paris. Elyse:[00:51:00] And it is the house that was built by the Camondo family in the middle of the 19th century. This family was a very very wealthy family. And they were bankers. And they unfortunately were deported during World War II. Annie: [00:51:25] They were Jewish? Elyse: [00:51:26] They were Jewish. And they the family was originally from Turkey and then part of the family had gone to England in a part of the family had gone to another country, and a part of the family had established in Paris. And so it was like the third or fourth generation already. Their sons served in World War One. One of the sons was killed in World War One fighting with the French. And in the 1930s part of the family left and part of the family did not leave. And when the Germans came, they were deported but I don’t remember exactly the story. The patriarch of the family was able to, before that happened, leave the house with all of the furniture and all the artwork in it to the city of Paris. Elyse: [00:52:17] So it was I believe unfortunately even occupied by the Germans during World War II. But nothing was destroyed. Annie: [00:52:35] So it’s probably stayed the same way for a long time. Annie: [00:53:05] It’s kind of a tragic story too, so it’s probably yeah it’s a bit you don’t know mean it’s sobering. Elyse: [00:53:12] It’s sobering unless you don’t know the story. Annie: [00:53:13] Do they talk about it in the museum? Elyse: [00:53:15] There’s just a handout that you can get. But I went with my sister and I went I took her because I wanted to see this museum because I’d read this book about the family. And it was gorgeous. It was really lovely. After that we went and had a snack in the Parc Monceau. Annie: [00:53:34] Which is also a lovely place. Elyse: [00:53:34] Which is also a lovely place. And really if you’re interested in decorative arts, that’s why it’s interesting as a kind of thing to follow the museum of decorative art. It’s a lovely place to visit. To get an idea of what the tastes were and the second half of the 19th century and the first part of the 20th century and it has an interesting history of course attached to it. Annie: [00:53:56] Cool! Le Musée du Quai Branly. Annie: [00:54:00] That one I haven’t been to either! Elyse: [00:54:01] Well I’ve only… OK I have to make a confession. I was there once enormous absolutely enormous. This is Jacques Chirac’s baby. This is really his baby. It is a huge huge huge Museum of what are called the traditional arts of everything outside of Europe. Annie: [00:54:22] Oh, I thought it was African art! Elyse: [00:54:24] No it’s everything. In other words there’s a huge section on Polynesia and what they call Oceana. Yeah huge section on Australia, a huge section on Africa, a huge section on South America OK. It’s got everything. Annie: [00:54:41] So it’s more ethnic art. Carvings? Elyse: [00:54:44] It’s all about traditional art. Elyse: [00:54:46] So you have carving, sculptures, textiles, everything imaginable. And honestly I went and because it was so fascinating. After three hours had realized that I hadn’t done more than two thirds of the museum. Wow and couldn’t handle anymore. So. Elyse: [00:55:08] Right right. It’s a large museum that will take a long time it takes a long time. Unless you’re specifically interested only in the work of a specific part of the world. Annie: [00:55:18] Right. If you want to see Australia. Annie: [00:55:28] Come and go as you wish. Elyse: [00:55:29] But like a lot of the you know at the Metropolitan Museum of New York there is also that kind of thing. Not as much because Metropolitan doesn’t have an extensive collection of Australian or Polynesian or things like that. But if you’re interested in those kinds of arts and African art which is fabulous to see, it’s a great museum. Annie: [00:56:00] All right, let’s talk Les égouts de Paris. Elyse: [00:56:03] Do we have to? Annie: [00:56:05] We have to. Annie: [00:56:07] It’s kind of a museum but it’s a thing that you experience. And the experience is not necessarily pleasant. Elyse: [00:56:14] It is. It’s really, the public is invited to go? Annie: [00:56:17] Yes, you can see just a tiny bit of it. And they explain how you know égouts, sewers, have made life much better. I’m grateful for sewers. Elyse: [00:56:26] Yes, I am grateful for sewers! Annie: [00:56:28] I want to be in them. But you get to be in them for an hour or so and it’s terribly smelly. Elyse: [00:56:34] Do they give you special boots? Annie: [00:56:36] No, they give you nothing. You know it’s fairly clean. I mean you’re not going to get OK. You’re going to go trudging through the… No but you are going to be walking right over. And they have this like metal kind of grill thing [grate] that you walk over… But, I mean the sewer is right underneath. So the smell is all there. OK. Yeah. So full experience smell wise. Elyse: [00:57:00] Do they explain how those were carved out at all? Is that part of what they do. Annie: [00:57:24] Yeah yeah. And we talked about that at length in episode 125. So if you want to know more about it go to that episode. Annie: [00:57:33] Let’s move on to Cité de l’architecture et du patrimoine, or Musée des monuments français. Elyse: [00:57:39] OK, this is another one that I love, absolutely love. Annie: [00:57:44] It’s on the Trocadero. Elyse: [00:58:13] Lifesize. That’s what they call scale 1. Elyse: [00:58:16] Yes. You will see the facade. That is you will see the opening. Elyse: [00:58:24] Yes lifesize. Lifesize. Annie: [00:58:25] That blows my mind! Elyse: [00:58:25] The ceilings of the ground floor, which is where all of this is, are I guess the equivalent of three or four stories high. And many of these reproductions were begun in the 19th century. At the same time as they were preparing to repair Notre Dame and Chartres and places like that. And they were able to, before the modern techniques, I mean now think of what you could do with 3D printing and all of that, yeah, they were able to reproduce in the tiniest tiniest tiny detail, and some of them even with putting back on the faded color on some of them. All of these absolutely exquisite medieval entranceways to the major cathedrals. Annie: [00:59:15] So that would be really interesting to me. I would love that! Elyse: [00:59:17] It’s fabulous. Not only that, but the way many of them are set up. You can walk around them and you can actually see how it’s constructed from the back. So it’s a stage set. I mean but but yeah it is. I went, I discovered it literally with my husband. So this is maybe five years ago. It was like “This is on the list of things”. Hey what’s this? Let’s check it out. And of course he’s really interested in old architecture. The two of us I swear we spent an hour and a half with our jaws open. Yeah we could not believe what we had walked into. It is unbelievable. Elyse: [00:59:53] There are two or three reproductions of renaissance or medieval homes, civil architecture. But the majority of the things on the ground floor are religious architecture. But if you can’t go outside of Paris and you want to see close up, literally close up, what some of these major major details and churches look like, and a couple of the monasteries. Annie: [01:00:19] So, there’s probably Reims, Chartres, Amiens, all of that. Elyse: [01:00:23] Vezalay, I think Moissac is even there. Conques is there with the opening. Annie: [01:01:07] Wow, that’s one I’m going to put on my list for sure! Elyse: [01:01:07] Great. It’s great. Annie: [01:01:11] I love architecture, and I know we have lots of architects who listened to the show. Elyse: [01:01:15] Yes, and it’s right on the Trocadero. Annie: [01:01:18] Right. Right. So it’s really a good one. It’s easy to get to. Elyse: [01:01:23] I mean not only that but you know this is one of those things I’ve been back a few times so you have these enormous doorways that you swear are made of stone and everything and then a few of them you can walk around and you see how it’s all,, you know fake, with the wood in the back and everything and then you peek out the window and you’re looking at the Eiffel Tower. Annie: [01:01:41] Right. Right. That’s right. Elyse: [01:01:44] How much better can you get? Annie: [01:01:46] Oh and there’s a nice Moroccan restaurant right there too. So we think it’s called Essaouira or something, I’ll put a link to it on the show notes. It’s one that I’ve been to a few times, love it!. Elyse: [01:01:54] You’ve been to it a few times, we went there with the group last year. Annie: [01:01:55] And I went there by myself as well and nummy nummy nummy! Elyse: [01:02:00] Yum yum. Yeah. Annie: [01:02:02] Let’s move onto the Philarmonie de Paris. Elyse: [01:02:05] Have you been there? Annie: [01:02:05] I have been there. I have not been inside of the Musée de la Musique. Annie: [01:02:11] It’s fairly new. It’s one of these buildings that has beautiful architecture. It’s shiny, it’s another kind of wannabe Guggenheim or that sort of style of museum but it is magnificent. I think lots of Parisians, my cousins will tell me that it’s ugly as hell. Elyse: [01:02:27] Where is it? Annie: [01:02:31] So this one is Porte de Patin, next to that. Lavilette, that kind of area, 19th arrondissement. Parisians see it all the time when they drive the périphérique, because it’s right along the périphérique. And that’s why they don’t like it because they just drive past that big thing which from the périphérique, you don’t really get a feel for how beautiful it is. You have to get off folks and you have to go walk around it. It’s gorgeous and it’s one of these places that has temporary exhibits. Annie: [01:03:04] They have performance spaces for students of the conservatoire de musique [and also a major performance space!] and the Museum of music I’m told is fabulous. But the last time I was there we arrived late enough that it wasn’t worth it wasn’t worth going going in because it was going to close in like 20 minutes. And you need a good hour and a half to see it. But it’s one where I definitely want to go back. And it’s gorgeous. In my opinion gorgeous. Annie: [01:03:39] See that’s modern stuff I like. Yeah there’s some stuff I really love when it’s complex. Elyse: [01:03:45] Yes like Vuitton center I really like. Annie: [01:03:48] Right. When it’s a complex architectural thing. I love that. But it’s a block you know it’s just totally we’ve done blocks for a long time. What’s new about that? Nothing nothing at all. Annie: [01:04:02] La Crypte archéologique du parvis de Notre Dame. Elyse: [01:04:06] Yeah! I love this place. Annie: [01:04:07] Yes it’s a nice one. Elyse: [01:04:08] It’s really fun. Annie: [01:04:09] It’s right, Notre Dame, Notre Dame. You have the Parvis de Notre Dame. And the Esplanade you have the entrance to this. It’s smallish the museum? Elyse: [01:04:18] Well it’s small. Yeah it’s actually small. And of course I think a lot of people don’t even realize that it’s there. And not only that, but if you’re standing on the Esplanade facing the Cathedral of Notre Dame you’re or you’re walking on it. What it is is what it is is a small museum space that shows what the city of Paris looked like at the Roman times. And then early medieval times because they were doing archaeological digs right there. Elyse: [01:04:49] And when they uncovered some of the ancient Roman structure which was mostly on the other side of the river. But there was a little bit right there on the island. And then the very very very earliest of the medieval structure. They left it exposed. So when you go down it’s like walking through a maze. And you had these huge sections of wall and you have these blocks of stone. Annie: [01:05:32] So like project? Elyse: [01:05:33] Projection. Yeah. I can’t remember now if it’s actually on the computers that are sitting there or on the wall, but rather than just seeing a bunch of stone, you can see that it’s sections of wall and things like that. You get a much better idea of what ancient Paris looked like. It’s really kind of neat. Annie: [01:05:50] That sounds like a cool place to take kids, older kids maybe? Elyse: [01:05:54] I guess so. You know I think like with adults it’s a question of what’s interesting to them. And then. And it’s it’s not very big. Elyse: [01:06:06] It’s not very big at all. Annie: [01:06:07] Oh, and the beautiful thing is it’s right there. You don’t have to you know go anywhere. You’re right there. Elyse: [01:06:13] And it’s it’s really easy to just go in for half an hour and come back out and then visit Notre Dame or go to Sainte Chapelle or whatever you want. Annie: [01:06:24] Ok. Move on. We’ve been talking a long time. This is going to be a long episode folks. Let’s see. Elyse: [01:06:32] Palais de la découverte? Annie: [01:06:46] So next to the Trocadero you also have the Palais de la découverte or Universcience is what it’s called. It is called I’m going to check and make sure we’re not saying dumb things because now this is the one where neither of us have been to. So we haven’t talked about… So far we’ve only talked about some ones where one of us has been. But this but this one we haven’t but because it’s good for kids it’s great for you mention it. Elyse: [01:07:09] And that has a lot of… It prepares and programs things that are specifically of interest to kids because of course we have lots of school holidays. And so it was nice to take them. Annie: [01:07:24] Oh it’s close to the Petit Palais actually. Elyse: [01:07:27] It’s close to the Petit Palais. Annie: [01:07:28] Yeah just to the Petit Palais, not to the Trocadero. Elyse: [01:07:32] It’s got lots of interesting discovery kinds of things. Annie: [01:07:35] Something that you might want to consider if your kids love science museums that will be a good one. Elyse: [01:07:40] It’s a great one. Annie: [01:07:41] OK. Moving on the Pantheon. Annie: [01:07:45] We’ve done a whole episode that was episode 71 about it. The Pantheon in Paris, Episode 71 Stately place. Huge huge. It’s probably take you an hour to visit it. Annie: [01:08:14] This is a problem because France was a very very religious country for a very long time, and then the revolution they did away with all of that. Annie: [01:08:22] And then what you’re left with is empty like. I mean church is really important to… You know for weddings, funerals, for burials for them. I mean, yeah, it’s part of the culture. And so they couldn’t eradicate all of that completely. So they replaced it with this Pantheon. They called it the Temple of reason right. Elyse: [01:09:02] Yes and if you know current events it says homage to great men. And now it’s going to be changed to the men and women. Annie: [01:09:13] Yes, they have realized that there is a sore lack of women in there. There’s only a few. Marie Curie is there, so is her husband. So this is what happens. Famous women who are buried there. Marie Curie is one of them. Her husband was not nearly as famous as her, right? But she insisted in her lifetime she said I want to be buried with him. So they put him in there as well. Annie: [01:09:41] And it’s going to be the same with Simone Weil. She also said I’m going to be buried with my husband who was a wonderful human being but not as famous as she was but yet he’s going to go to the pantheon right. But it never worked the other way around. So all these men that they buried and I’m sure their wives had a lot to do with their success and their brilliance but none of the women were put in. Elyse: [01:10:08] And it was a big deal to put women in. Now of course that will change a bit. I think with the way things are going. Annie: [01:10:15] It’s the way history has gone in a lot of places. Women have always done outstanding things. It’s just we don’t notice. Even us, women. We don’t notice the extraordinary things that other women do. Elyse: [01:10:47] And you just want to just see it. Annie: [01:10:50] You could at least see the outside. It doesn’t cost very much to go in. If you have the museum pass it’s included. It’s worth a little walkabouts. You know. It’s a fun place I think for us. I would say go see the Church Saint Etienne du Mont rather than the Pantheon. Oh yeah but that’s just me. That’s just me. Elyse: [01:11:25] Well, actually, amazingly they get an enormous number of people. Annie: [01:11:29] A lot of people go because that’s the museum they’ve heard of. All right. That’s the problem with all these museums is… Before we go I think this is human nature. Before we go into a museum we’re like oh am I going to like it? Is it going to be boring? You know? And the Musée Grévin has this kind of approachable aspect to it. And so people don’t think it’s going to be boring and they just go. Annie: [01:12:02] And you get to get your picture taken by all these famous people. It’s kind of fun. Elyse: [01:12:05] I guess so. Annie: [01:12:05] I’ve been to the one in London I haven’t been in Paris but I’ve been to London. Annie: [01:12:12] Yeah, but you’re a snob! Elyse: [01:12:14] Yeah I don’t know. Just seeing a wax version of a human being just gives me the creeps. I don’t know. Yeah. Yeah. I’d rather see a sculpture anyway. Annie: [01:12:25] Le Musée des Arts et Métiers. Annie: [01:12:30] Lovely lovely. I love that one! Elyse: [01:12:32] Tiny little museum [Not that small, there are 4 or 5 floors!] connected to the school of arts et métiers. Yeah which is kind of the dead center is in the second arrondissement. Elyse: [01:12:43] It’s not really hard to get to from almost anywhere in that area. I surprisingly I’ve seen two wonderful exhibits that have stayed in my mind for a long time. One was about the history of maps I love maps I think maps and map it was about the history of map making and starting from the Middle Ages going up through modern times. And another one was about the history of alphabets. Yes and different kinds of writing systems. Elyse: [01:13:42] Like the one in the Pantheon, then? Annie: [01:13:43] Yes like that like that it’s very nice I think. I think our committee is a great museum for kids. You also have a kind of a history of computers computing. You see the old old all machines some of us are old enough to tell our kids oh my goodness I had a machine like that. Elyse: [01:14:03] I remember when there weren’t any! Annie: [01:14:04] Yes, or that! Anyway the Arts et Métiers is wonderful and there’s this beautiful… One of the first attempts at the Statue of Liberty that Bartholdi made is in the courtyard. Annie: [01:14:23] You don’t even have to go inside. And so if you want to see a smaller… It’s not it’s not a replica because it’s actually before he made the real one. He made smaller ones. And there’s one in the Luxembourg garden and one and one at the Arts et Métiers and it’s beautiful. Elyse: [01:14:39] It’s a great little museum has a nice little garden. Annie: [01:14:41] And you can probably spend a good two hours there. You know you can spend time there if you want but you could also do it kind of quickly. Yeah I I I’m very glad I went. You’re very very. Elyse: [01:14:53] You can actually walk there from the Pompidou Centre and things like that. Annie: [01:14:57] We’ll talk about the catacombs. You know it’s not really a museum but it’s… We talked about it at length. Well, some on Episode 39. Right. It’s… Very famous because it’s very striking. So what it is is you go downstairs to these kind of… les tunnels. Tunnels the tunnels where they have stacked bones. Yes. And what they did is they took similar bones and stacked stack them yeah. Elyse: [01:15:33] This was when they evacuated the cemeteries right in the 19th century. Elyse: [01:16:20] It’s lots of walking. Annie: [01:16:21] Yes walking. So you go down the stairs, you walk through there and back up. The problem with this one is that there’s often a wait. Annie: [01:16:28] So this one you really should book it ahead of time because it’s very very popular with tourists. Elyse: [01:16:33] And the tunnels are part of the system that was dug through by the Romans. Annie: [01:16:39] Right. Right. The tunnels are ancient tunnels are urgent. Annie: [01:16:43] OK. Let’s talk about some houses where a famous person lived and I don’t think you have that in the printout, or do you? Elyse: [01:16:51] Yeah. La maison de Balzac. Annie: [01:16:53] Right. The Maison de Balzac. Elyse: [01:16:54] Balzac, of course, was one of the great 19th century writers French writers. And he lived in a little house in a part of what is now Paris that at the time was actually a separate village the village of Passy in the 16th arrondissement, which is the kind of West Bank. Annie: [01:17:13] Very posh to very posh today. And it’s not too far from the Eiffel Tower. Elyse: [01:17:18] It’s on the other side. Annie: [01:17:19] Right on the other side, but it’s not too far. Elyse: [01:17:24] It’s typical of the kind of place like that is that when you go to visit the house you see everything that he had. In other words, the room where he wrote with the inkwells and the Pens yeah things like that. And and his furniture. It’s not a very big house. I believe he was a bachelor and it’s got a charming little garden around it. What’s really interesting is that aside from the feel you get for the person it’s down this little road and you get a glimpse of what must have been the village in the 19th century. Annie: [01:18:01] So it’s an interesting way to walk through it. It’s very posh to day. I mean lots of rich people now live around there. Elyse: [01:18:40] He basically lived on strong coffee. Interesting yeah. Annie: [01:18:45] So the author of Madame Bovary. If you studied French in college, they made you read Madame Bovary. Elyse: [01:18:52] Yes, he’s really one of the great French writers. Annie: [01:18:56] Oh yes yes. Some really good books. Annie: [01:18:59] Maison Victor Hugo. Oh, my buddy Victor Hugo! Elyse: [01:19:01] Place des Vosges. Annie: [01:19:01] That one, I mean, for as much as Maison de Balzac is a little bit out of the way. Not likely to walk right past it without knowing. 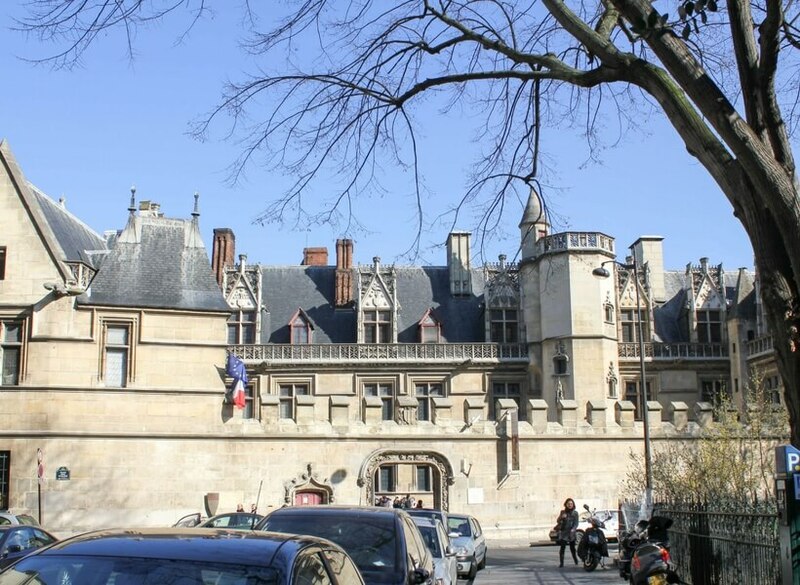 The Maison Victor Hugo, you’ve probably walked near it if you’ve been to the Place des Vosges. So that one it’s interesting. It’s FREE. Elyse: [01:19:18] It’s free and it’s also it was his it was his city centre house because he’d had a very big house outside of the city. He also had a place on one of the Anglo or Norman islands right. So this was his little town place. And of course you should have the money to buy this little town place you know at the time it was like. Elyse: [01:19:43] And he did do some writing there. Yes some interesting stuff. Annie: [01:19:47] I think if you’re on the Place des Vosges and you have the time , it’s definitely a good one I think. Elyse: [01:19:53] Because he certainly is a national hero. Annie: [01:19:56] Yes, well of course. Les Misérables, Notre Dame de Paris. Elyse: [01:20:00] He helped save huge chunks of Paris. Annie: [01:20:03] Right. Right. I mentioned that, I did an episode recently on Quasimodo and Esmeralda, let’s see which one was it? I can’t remember the number. It’s terrible, I can never remember the number of my own episodes! So this episode, The Hunchback of Notre Dame it was called, episode 181. Annie: [01:20:41] It wasn’t that far, I should remember it! Where I tell you the kind of the summary of the story of Quasimodo and Esmeralda as Victor Hugo wrote it. I loved listening to that book. Annie: [01:20:57] And right now I’m listening to Les Misérables, but I’m listening to the unabridged. Elyse: [01:21:26] Place des Vosges. Elyse: [01:21:29] Place des Vosges, yes. Elyse: [01:22:00] It’s called the International Center of Photography. It’s right in the heart of the Marais. It’s not very big and it has lots and lots of really good temporary exhibits by different photographers. But it’s also a place that is known for giving lectures, they have conferences. They have a bookstore. Annie: [01:22:23] It’s but it’s the type of museum where they show photographies. Elyse: [01:22:30] No no no. It’s the work of the photographer. Annie: [01:22:32] So if you want to see a ton of cameras very old cameras, you go to the Arts et Métiers. They have, oh I was fascinated by all of that. They have all sorts of the original, you know cameras that they built when the craft started. It’s very fun. Elyse: [01:22:45] Right. Yeah. Now this is the this is photography. This is the work. And the other one of course is the Jeu de Paume. Annie: [01:22:52] Jeu de Paume, yeah. Elyse: [01:22:52] Which is the twin to the Orangerie at the end of the Tuileries. And it is building that also was built at about the same time. But is devoted strictly to contemporary photography. Just photography. So for people who are interested in photography you have some very wonderful exhibits there. Annie: [01:23:15] That’s good. OK. Museums that are good for kids but not just for kids. You have the Curie Museum, which I talked about in Episode 79 and I also give you a summary of Marie Curie’s life which I thought was fascinating. Annie: [01:23:31] Another one that I’ve been to is the Musée des Arts Forains. Elyse: [01:23:34] Yeah. Been there too! Annie: [01:23:35] Oh you have? Elyse: [01:23:35] Yes, in Bercy. Annie: [01:23:37] Yes. That’s a little bit out of the way, but it’s not so far away that it’s a problem to get to it. You know fairly easy by bus by bus. When you are by bus don’t tread the Metro a little confuse you. But right next to it you also have Bercy Village. Elyse: [01:23:55] I was going to say, which is fun. This is this is actually an area that was the wholesale wine area. And they reconverted all these buildings so you have lots of little cool and sort of chic restaurants and boutiques. And then they turned this depot into the Museum of Everything connected to circuses and fairs some things like that. Annie: [01:24:20] So this one they don’t do English only tours, I don’t think. Elyse: [01:24:28] I don’t think so. Annie: [01:24:29] But the guides are very good because they often have people who don’t speak perfect French, so the guides are very good at switching. So they will say something in French and then they will say it in beautifully French accent English. Elyse: [01:24:44] I was I was actually with my husband so I don’t know what they do or do not English. It’s fun and it’s great for kids. Elyse: [01:25:23] When I was there I don’t know which time I don’t remember what time of year. But there were people in costume. So I don’t know if that was a special occasion. Elyse: [01:25:34] There were people that were wearing costumes like they were from the 19th century or early 20th century. So maybe it was a special weekend where they were doing some shows. But it’s fun. It’s a great place for kids. Annie: [01:25:45] Yeah great great for kids. That’s one I definitely recommend. Annie: [01:25:50] The Chocolate Museum in Paris is kind of interesting. Elyse: [01:25:53] I’ve never been! Annie: [01:25:53] I’ve been to that one. I did an episode it was episode 70. Chocolate Museum in Paris, Episode 70You know it’s it’s not very big, but you get to see all the history of of chocolates, and you get to taste. So it’s a fun one for kids. It’s not very far out of the way it’s Grands Boulevards, but a little further out. But it’s it’s not too hard to get to. Good ones for kids, I think. Annie: [01:26:19] There’s a Musée de la Magie, that I’ve been to as well, when my daughter was going maybe seven or eight. And she liked magic, of course at that age it’s perfect, right? You have that age when kids are just fascinated by magic and you get to see some of the magical cabinets that Monsieur Houdin did. Annie: [01:26:41] Well, Houdini is the American one. Houdin, Houdin is the French one. So Houdini named himself after Houdin. Elyse: [01:26:49] Oh, I don’t know that! Elyse: [01:27:00] Making people disappear. Annie: [01:27:02] Yes, to do all sorts of things. A lot of magic is actually based on work he did. And it’s very interesting to see that they used Houdin to bedazzle… Like this is the time… He was alive at the time when Algeria was Algeria was being colonized by the French. And they they wanted to. They wanted to just impress the sheikhs and all of these people and they brought Houdin to do the bullet trick. Annie: [01:27:34] He’s the one who introduced the bullet trick where somebody shoots a gun and the bullet ends up between the teeth. That’s an old trick. It’s a really difficult trick and it’s a very, it’s not one that a lot of magicians did or do, but he’s the one who invented it. And anyway so it’s a fascinating history. That one was interesting and there’s a magic show as part of it cool. Yeah it’s this cool little thing. Annie: [01:28:01] There’s also a museum of dolls which I would never go to because like all the dolls would just drive me nuts. Elyse: [01:28:07] Why would they drive you nuts? Is it spooky? Elyse: [01:28:07] Some people… I’ve actually… I know…. I have never been, but I know some people who like it. Annie: [01:28:17] I also did an episode on the Wine Museum. Also not far from the Eiffel Tower. That one was episode 124, so for wine lovers it’s perfect. Wine Museum in Paris, Episode 124 There’s a museum of crime in Paris. Annie: [01:28:32] Yes there’s a Musée de la Chasse et de la Nature. Elyse: [01:28:35] WHich people have said is very good. Elyse: [01:28:54] There a word for it. I know what you mean, though. The kind that they put in the museum of natural history. Elyse: [01:29:07] I don’t know what the right adjective is. We’re both really blocking it. Yeah they’re, they’re stuffed! Annie: [01:29:14] Yeah. But they are not Teddy bear! Annie: [01:29:24] And all the photos I’ve seen of it look really really nice it’s like all wood paneling and it looks like an old museum. Anyway, I haven’t been, so I don’t want to talk about it too much. Elyse: [01:29:32] I haven’t either! Annie: [01:29:32] But I hear good things about that one. Elyse: [01:29:32] It’s true, I know people like it but I’m not sure I would be right. Annie: [01:29:38] We would be remiss not to mention the Musée Carnavalet, which is closed. Annie: [01:29:43] Until late 20th 1919, but I think when it reappears it’s going to be glorious because they’re redoing everything. Elyse: [01:29:49] And it is in the Museum of the history of Paris. And it is in this gorgeous 17th century mansion right in the dead heart of the Marais. And so my guess is that it will be lucky if it’s open the day that they say it will be. Annie: [01:30:05] I don’t think they’ve announced the date. Elyse: [01:30:07] When it opens it will be fabulous. Annie: [01:30:09] Right. Right. There’s also the Conciergerie. Annie: [01:30:12] We have not done an episode about it! Elyse: [01:30:14] We haven’t? Really? Annie: [01:30:15] Because that’s once that we both like! Elyse: [01:30:19] We’re going to have to, there we go! Elyse: [01:30:19] The Conciergerie, which is of course next to Sainte Chapelle, which is the oldest Palace in Paris. Yeah it is the original palace of the Capetian Kings. Yes. And it was. You know it’s the inspiration for the castle in Disneyland with it’s rounded domes. Elyse: [01:30:41] Gorgeous on the outside. Annie: [01:31:01] Right city center. This is one that I don’t know that everybody needs to see it. But if you want to see medieval architecture, yes. You see the big massive fireplaces. And the interesting way they did like a corkscrew staircase staircases. Annie: [01:31:19] If you’re interested in the history of the French Revolution, you definitely need to go. There are some really good displays, that you will just sit and watch that thing for a long time and you learn about the French Revolution. Elyse: [01:31:30] And really even on the outside, it’s quite impressive because the huge and it takes up a good chunk of the island. Elyse: [01:31:42] I’ve been! I’ve been several times. Annie: [01:31:44] It’s closed whenever I go! Elyse: [01:31:46] Well, it’s it’s basically a Roman ruin. Elyse: [01:31:50] It’s off rue Monge, and it’s behind rue Mouffetard, so it’s in that section. Annie: [01:31:54] So, this neighborhood is really good. Elyse: [01:31:56] It’s a wonderful neighborhood. The back end of the Latin Quarter. Yes. And it was I don’t remember when it was uncovered because it was discovered and it was uncovered because it was there. But it’s not super impressive because not a huge huge huge arena. Yeah we actually have one here in Toulouse that’s actually bigger. Annie: [01:32:18] And it’s not that impressive in Toulouse. Elyse: [01:32:21] So it’s small but sections are totally intact. And what’s interesting is when you if you visit the roman parts of the Cluny and then it’s a 10 15 minute walk away. Yeah. And you go there, you really get an idea of what was Rome and Paris. Annie: [01:32:40] That one I would say go for the neighborhood, the neighborhood is lovely. So a great walk. Yeah yeah. Annie: [01:32:47] Le Mémorial de la Shoah. Annie: [01:32:48] There are two of them. Elyse: [01:32:49] There are two of them. Annie: [01:32:50] I don’t know what they’re called specifically, but the one there’s one that’s behind Notre Dame. Elyse: [01:32:57] That’s the Memorial of the Deportation. Annie: [01:33:01] OK. OK. Because I’ve been to both but I couldn’t remember the names. Elyse: [01:33:04] That’s the difference. That’s the one about deportation. Right. And then you have the one that is. Right in the heart of the Marais right. That is the memorial of the Shoah. Annie: [01:33:15] And both are amazing. The one with deportation right behind them Notre Dame. The one that just struck me is that there’s a map of France in there with all the department which are still the same departments that we have today basically. And it shows how many Jews were deported from each of these departments, and you can see that some of these departments really fought against the Germans, and some didn’t. Some gave in. Oh yeah you can have the Jews. We don’t care. So it’s a really really interesting. And the other one in the Marais is bigger. Elyse: [01:33:50] And it has names. Annie: [01:33:52] It has all the names. Elyse: [01:33:53] Like the one in D.C.
Annie: [01:33:56] Yeah, that one will make you cry. It’s it’s really sobering, worth a visit. But yeah. Yeah but a little bit difficult to take. Elyse: [01:34:07] OK so why don’t we end with the Opera Garnier. Annie: [01:34:10] Opéra Garnier, yes! Elyse: [01:34:10] So we don’t end with a sad note. Because… There are… And this is not a complete list. Annie: [01:34:18] Oh no, we’ve been talking over an hour and a half! Yes and we haven’t… We’ve, I mean, we have scratched the surface. Elyse: [01:34:27] We’ve done the major ones. And most of the ones that most people would probably go to, but literally Paris has so many museums that it’s unbelievable. Elyse: [01:34:40] 127, and of course that is like going to a small Versailles. Yes it is magnificent. It is so much fun to visit. Annie: [01:34:48] Even your first time in Paris even your first time Paris! Elyse: [01:34:51] It is just gorgeous gorgeous gorgeous and you have to book a guided tour. Yes. Annie: [01:34:57] The guy I’ve had two different guides. There’s a man who is he. Little bit not very approachable when you look at him but he’s very good. He knows his stuff. And there’s a woman who does it a lot too and he’s funnier. Yeah. Anyway they’re both very good. Elyse: [01:35:15] They’re both very good. And if by some chance you’re there with us yeah and then Elyse will take you. Annie: [01:35:21] She’s a fabulous guide. The idea today, and I hope you have gotten that, was to give you an overview, so that you can decide which ones you would like to see. You know where this is not the definitive list. We’re definitely not trying to do at all when you type online overview of Paris museums, you have all these lists the top 10, the very best. There is some secret museums in Paris. Listen folks: None of these are secret! No. They would would love to have your visit! Elyse: [01:35:53] They would love to. Really. It is. Obviously it would take a very long time to visit all of these places. Yeah yeah. This is not one time. This is not two times. Annie: [01:36:04] We have a listener who is just now going… She just arrived in Paris. This is her 30th 30th to Paris. OK. Hello to you. Elyse: [01:36:16] This is for her. Annie: [01:36:18] There’s a bunch of. Well, she’s probably been to most of these. But if you were that sort of person then yes you need to you know deep dig deep into Paris museum. Elyse: [01:36:29] And then again we all know that we like certain places that we go back to all the time right. But Paris is a wonderful wonderful wonderful museum place. Annie: [01:36:37] Yes. And I would say for people who don’t like museums at all for those I would say go to at least the Orsay. Elyse: [01:36:48] Well I mean I I wouldn’t even say that I think that for people who don’t like museums at all. Think about what it is you really are interested in. If you’re interested in history go to Les Invalides and see the tomb of Napoleon. Annie: [01:37:00] That’s true if you like guns, go there! Elyse: [01:37:02] If you like if you like… Ancient… The world that’s ancient. Go to the several wings of the Louvre because that’s where they have all they have the Abyssinian tablets. The first writing cuneiform systems. I mean you know there is literally. If you want chocolate. If you want writing if you want African art I mean there is something for everybody in Paris Absolutely. Annie: [01:37:26] At least I am impressed. How many of these museums you have visited. I’m impressed about all the ones I have. Yeah we looked at the list and there weren’t very many that she hasn’t seen. Elyse: [01:37:39] I didn’t even realize it. To be honest you know. But then again I think you love museum. I love museums and I love Paris. Annie: [01:37:48] Oh and one last thing: on the museum pass this is something I found out because I exchanged some e-mails with the people who run the museum pass. Annie: [01:37:57] Technically if you are a European citizen. Annie: [01:38:04] Kids under 18 don’t pay to go into any of the museums. Maybe some of the very private ones would be different. But most museums in France if you’re under 18 you don’t pay to go in. The rule is if you’re a European citizen. Yeah but when I wrote to them I said. But what if you’re American? Right. And they didn’t write back saying, oh we don’t care. But they were like, so long as the adults have the museum pass, we’ll let the kids go in with you. Annie: [01:38:32] But they do want proof of your age because I mean if you’re 17 right. Yeah. But they also told me that… Because I said Well but what if they’re worried about losing their passport? And they said well a photocopy of the I.D. is good enough. So you know this if you want to get the museum pass and you’re visiting with your kids wherever it is that you go buy the museum pass which should be in one of these downtown museums. So you go to either the crypt or the Conciergerie or the … Well, when the Cluny is open that’s where I go, but it’s not open right now. But you go to one of these and you make that the place where you buy your museum backs and you show your kids and say “My kids do they pay?” And I bet they will say no, probably. OK. So this is something that I think most people don’t know. But don’t order it online because online they’ll just sell you whatever. 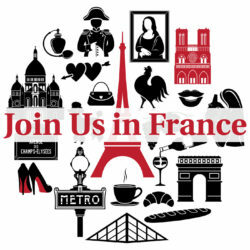 Annie: [01:39:29] And French people really want children to go to museums without paying. It’s part of how we think, it’s really important. Annie: [01:39:38] Thank you. Yes good. Thank you so much Elyse! Annie: [01:39:41] You are quite welcome. Annie: [01:39:42] Au revoir everybody! Elyse: [01:39:44] All right, au revoir !